All churches, ministries and schools in the Diocese of Atlanta are listed. Please check your listing at: episcopalassetmap.org/dioceses/diocese-atlanta. Make sure that the name, address, services and general information is current and add information about any unlisted resources you may have. There are several reasons why this is a valuable tool. With disaster preparedness and resources listed and up-to-date, it is easy to locate what's needed to help others. The site’s robust search engine optimization makes it come up high in Google's rankings for those who are searching for a church, ministry or school. See what other churches, ministries and schools are doing and be sure to share yours! 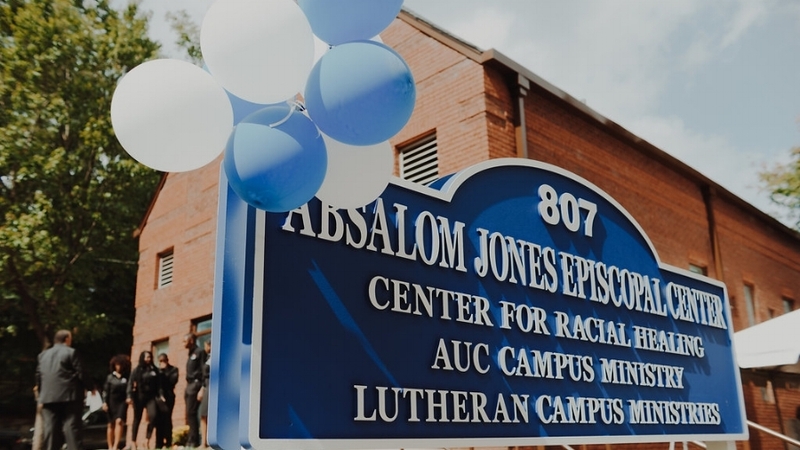 If you need any assistance with updates or access to the site, please feel free to reach out to Diocesan Asset Map Coordinator Don Plummer, dplummer@episcopalatlanta.org. 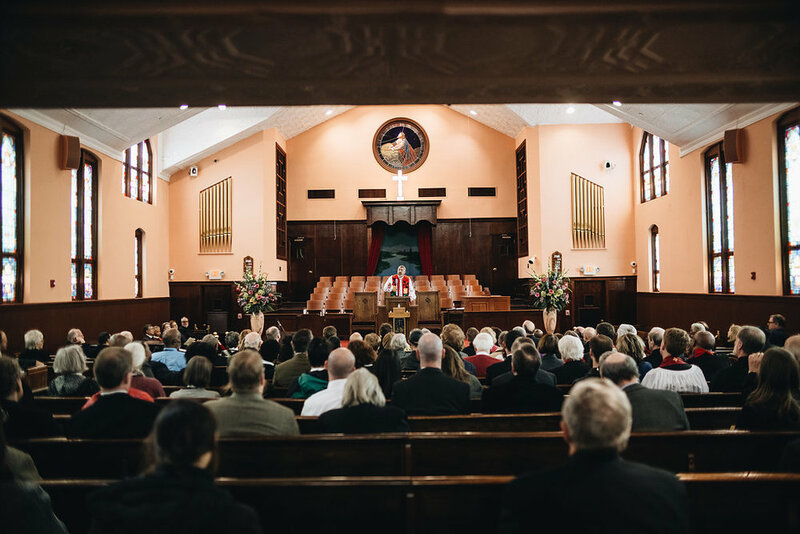 Our clergy and laity gathered this week for their Renewal of Vows in the sanctuary of the historic Ebenezer Baptist Church where the Rev. Martin Luther King Jr. and his father and grandfather preached. 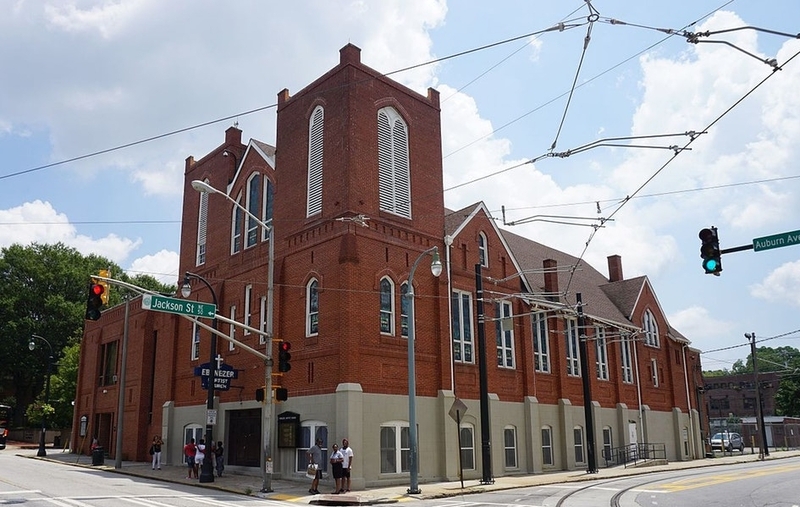 Bishop Robert C. Wright sought permission to use the site because of its connection to the civil rights movement leader and the recognition of the humanity of all Americans. “The local parish is still the hope of the world. If that sounds like too much to say, look around. This is a totally average parish. Still, from this place a soul was equipped to confront pharaohs, mobilize people and call a nation to its better self,” Wright said. 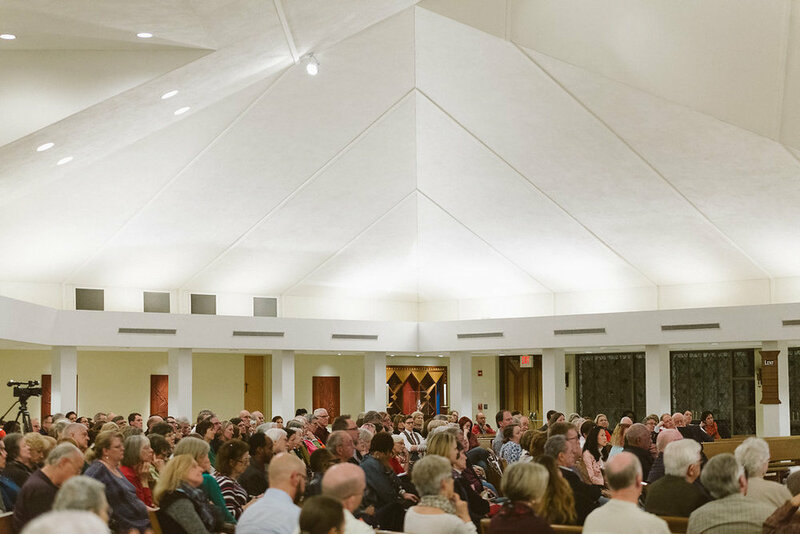 Since his ordination in 2012, Wright has focused renewal services on the diocese’s relationship with other denominations and religions and its mission to the world. 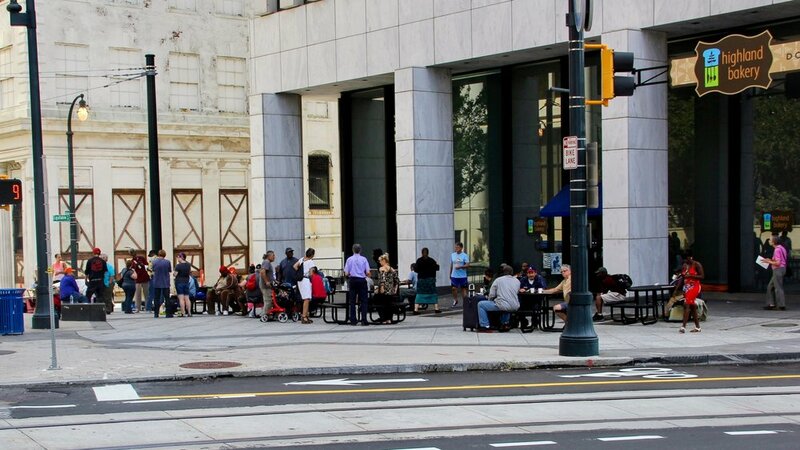 Services have been held in a homeless shelter, a Jewish synagogue and at a parish church where a Muslim preached, and when held at the diocese’s Cathedral of St. Philip, the services have featured a choir from a women’s prison, preachers from other denominations and, once, a foot washing. “When we renew our vows today perhaps what needs renewing is not our intention to be faithful to our respective vows. Perhaps what needs renewing is our sense of possibility,” Wright said. “Maybe what is needed is for us to grasp again a God-sized sense of what is possible. Read the original ENS article by Don Plummer here. We must ask ourselves to do what is right even when it is difficult. 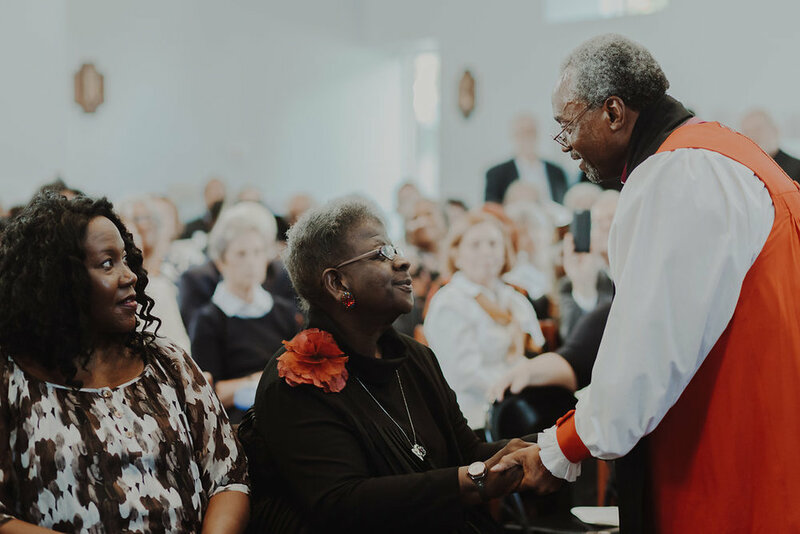 On February 15, Bishop Wright joined special guests – among them faith leaders, lawyers, and a retired Georgia Supreme Court justice – for a discussion on the death penalty in our country. During this discussion, Sister Helen Prejean, a Catholic nun from Louisiana provided her perspective from the front lines advocating for the abolition of the death penalty since 1981. She shared how seeing her first execution, “set her soul on fire, a fire that burns in me still.” The author of the international best-selling book, Dead Man Walking: An Eyewitness Account of the Death Penalty, also spoke about her privilege growing up in this country and the need to wake up to injustice. The Most Reverend Wilton D. Gregory, archbishop, Roman Catholic Archdiocese of Atlanta, also spoke on how Catholics are opposing the death penalty. “Once you begin to justify the taking of a human life, you really are on a slippery slope,” he said. During the discussion, Susan Casey, appeals attorney for Kelly Gissendaner and Justice Norman S. Fletcher, retired chief justice, Supreme Court of Georgia discussed their very different roles in the Gissendaner case. Casey was her defense attorney, and Justice Fletcher was on the state Supreme Court when it unanimously upheld her conviction. Gissendaner’s execution was controversial for many reasons, particularly becasue she commissioned the crime, but did not do the act. While in prison, Gissendaner sought rehabilitation and converted to Christianity and even earned a theology degree. While the death penalty is supposed to be reserved for the “worst of the worst” says Justice Fletcher, most times sentences are handed down unfairly. When the US Supreme Court reinstated the death penalty in 1976, after a four-year pause, it tried to raise the bar for which crimes would qualify as being eligible for the death penalty. The intent was to reserve it only for “the most heinous” crimes, with fewer people being considered for execution. Fletcher says the issue of these protections is that they offer a false sense of fairness and aren’t applied consistently. 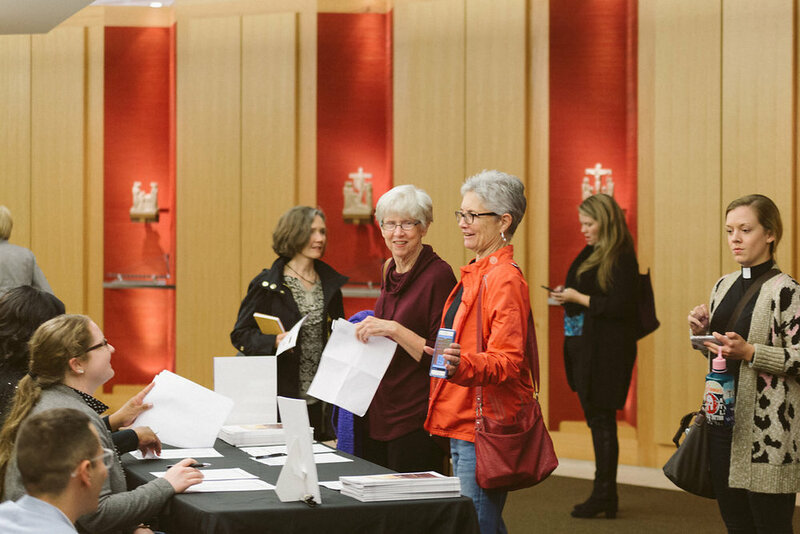 This forum was followed by a reception and book signing of A Case for Life: Justice, Mercy, and the Death Penalty by some of the book’s authors. Watch the video recording of the panel discussion and Q&A below. Within the new book five authors make compelling arguments against the death penalty from their own perspectives. Their personal experiences with both victims and perpetrators provide a moral case for ending state-sponsored killing. Purchase Online or at the Cathedral Bookstore (directions). Written from their personal experiences with both the victims and perpetrators of murder, the authors of A Case for Life: Justice, Mercy and the Death Penalty share intimate details of the experiences that led them to conclude executions do not provide a safer society nor closure for the surviving victims of terrible crimes. Attorney Susan Casey recounts her emotionally harrowing experience representing Kelly Gissendaner, the only woman executed in Georgia since the 1940s. “Initially, Kelly could not face what she had done. During the years that followed, however, she changed. With the support and encouragement of a devoted pastoral counselor and chaplain, Kelly confronted the terrible truth, reckoning with and accepting responsibility for her role in Doug’s murder.” Over her years in prison Gissendaner became a valued counselor and role-model for other women prisoners. Her developing faith also inspired her jailers and fellow inmates. But Casey says none of that mattered when it came time for Georgia’s clemency board to decide her fate. Casey recalls being present just after midnight on September 30, 2015 when Gissendaner was executed. She watched through her tears holding her hand over her heart as her client accepted full responsibility for her involvement in her husband Doug’s murder and died singing “Amazing Grace” as she was given the lethal injection. The book also includes a resources section listing death penalty organizations, faith community statements, and further readings on the death penalty readers can use in arriving at their own conclusions about the death penalty. Purchase on-line or in-store at the Cathedral Bookstore (directions). 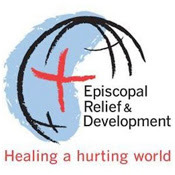 Resolved, that the Episcopal Diocese of Atlanta enter into a Companion Diocese Relationship with the Anglican Diocese of Cape Coast in Ghana in West Africa, and that the relationship last for three years, commencing with the approval of such a relationship by the Standing Committee of the Diocese of Cape Coast at their quarterly meeting in December 2017. I am pleased to inform you that your [resolution] was read to the Standing Committee at its meeting on November 30, and was received with great joy and affection. We are so grateful. We will hold you in prayer as we journey together in Christian faith and charity. Please be assured that we are holding you all in our prayers and remembering you in our celebration of the Eucharist. We are delighted in the good work God is up to among us! We are planning the next pilgrimage of members of the Diocese of Atlanta to Cape Coast. The dates will be May 18-25, 2018. Please click here to be considered for this year’s trip. Deadline for applications is January 31, 2018. Contact The Rev. Dr. Sharon Hiers (sharon@epiphany.org) if you have any questions or would like to receive more information. When we think of vestry service as a vocation, we transform ourselves from a group of leaders performing important tasks to an invigorated, fulfilled and transformed group that in turn enlivens the congregation and the community at large. In The Vocational Vestry, Alissa Newton provides three ways to start this process. Are you a new vestry member or a long-time veteran? 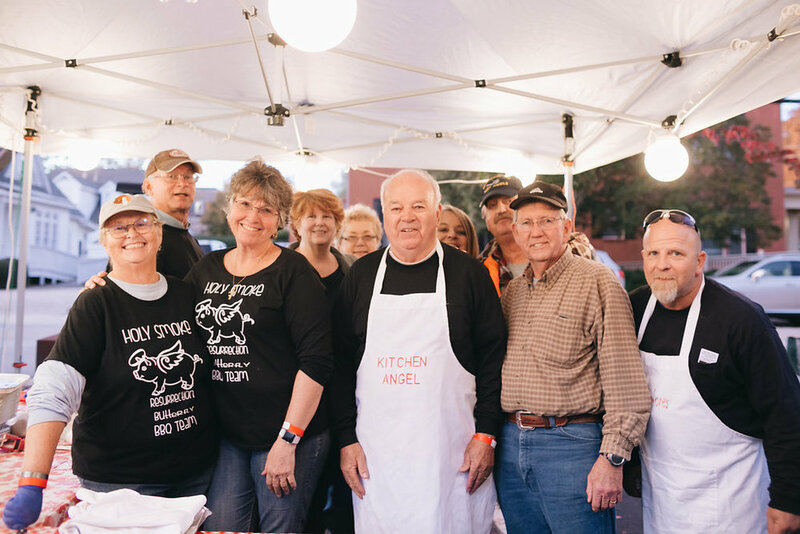 In Five Things Every Vestry Member Should Know, ECF President Donald Romanik shares ideas based on his experience and observations as a vestry member and warden that will speak to you, no matter where you are on your vestry journey. Does your church leadership team have a vestrycovenant? In Vestry Covenants, Susan Pinkerton explains why a covenant, created and implemented together, is an essential tool for building trust and fostering community among team members. In Top Ten Resources for Vestry Members, Brendon Hunter lists foundational tools and resources that will greatly benefit any new or returning vestry member, and serve as a handy reference while learning about church leadership and serving on the vestry. If you find this issue of Vestry Papers helpful to your work and ministry, please subscribe to ECF Vital Practices for upcoming issues, blogs and more. We look to you all for new ideas and stories so we can continue to offer church leaders practical resources and tools to respond to the changing needs of the Church. If you have a story to share, please get in touch. We would love to hear from you. 2018 Church Leadership Conference - Register now! 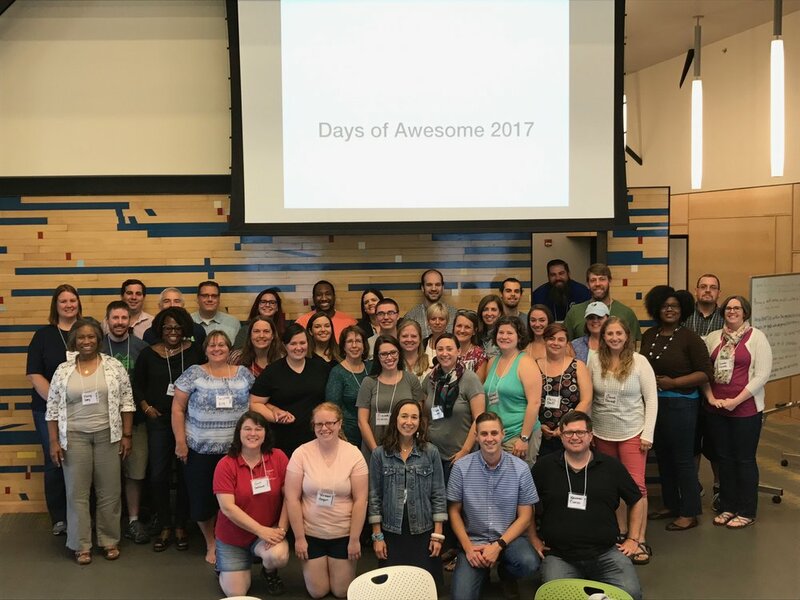 Are you a congregational leader? Register now for the 2018 Church Leadership Conference taking place March 2 - 4, 2018 at Kanuga in Hendsersonville, NC. Alan Bentrup was asked to share what qualities he thinks priests need to have today and shares what he thinks is true for all Christians, not just those ordained. Annette Buchanan explores six ideas for a follow-up on the stewardship season. Greg Syler, a fellow technological late-adapter, reflects on how the use of technology in the Church straddles that of the old and the new, between the inherited tradition and an emerging culture. Register now for free upcoming webinars on vestry basics, food and housing justice, and grant writing for faith-based organizations. How will you challenge yourself to love like Jesus? 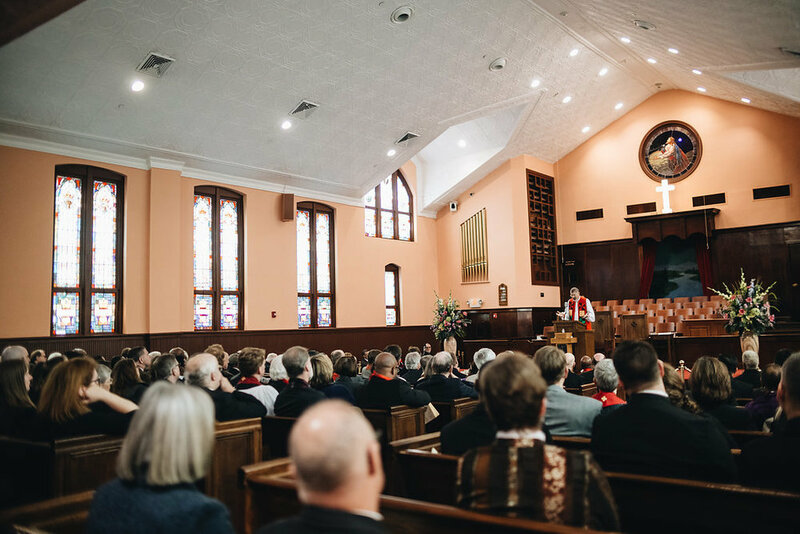 Representatives from our diocese’s 114 worshiping communities were asked that at the 111th Annual Council, hosted by the Northeast Georgia Convocation, Nov. 10-11 at First Baptist Church in Gainesville. In his speech to attendees, our bishop, the Rt. Rev. Robert C. Wright, put forth ideas for how to go about living into this part of our diocesan purpose statement. “We must look at every tradition and convention we have adopted as ministry groups, vestries, individual churches and clergy and ask ourselves and one another, does our current practice and reality square with what Jesus actually said? What he taught? How he loved?” Bishop Wright said. Council began with Holy Eucharist. The Rt. Rev. Daniel G.P. 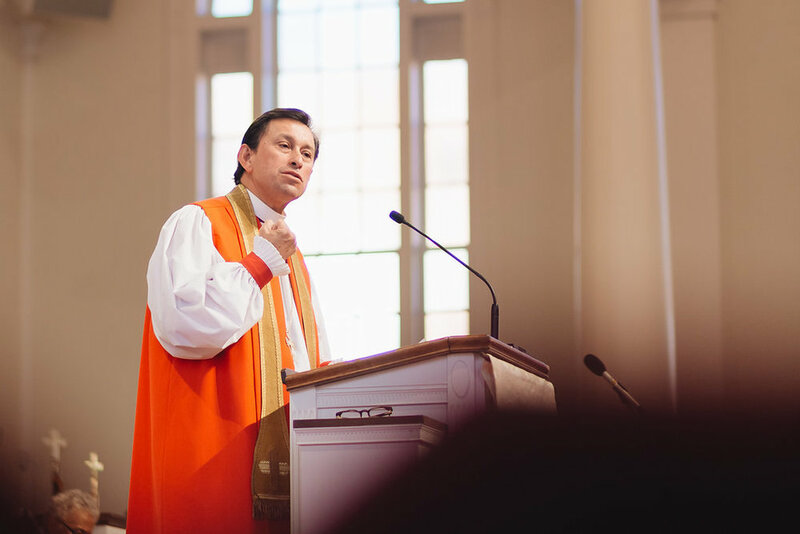 Gutiérrez, bishop of the Diocese of Pennsylvania, was guest preacher and the Rt. Rev. Robert C. Wright celebrated. After the service, the 111th Annual Council convened to determine new members of diocesan leadership groups and consider four resolutions to help establish and strengthen partnerships and raise awareness about important issues. After Council, activities concluded for the day, and attendees had the opportunity to participate in a service project. Partnering with Rise Against Hunger, our Council delegates worked together with a goal to feed 30,000 people. 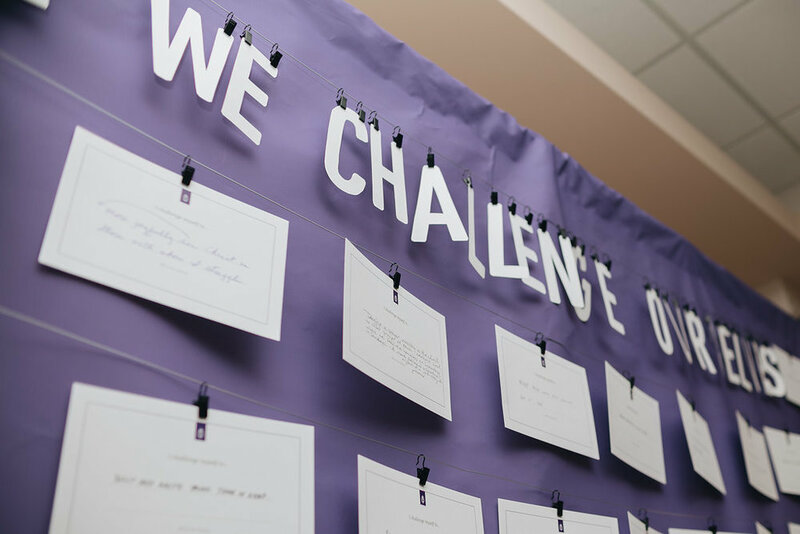 This year’s Council theme echos our diocesan purpose statement, “We challenge ourselves…” Attendees reflected on the ways in which we challenge ourselves in our daily lives. Bishop Wright challenged attendees to find new ways to love like Jesus. “If we’re going to love like Jesus, we’re going to have to tell our real stories. Be curious rather than defensive. Forget perfection. Try new things. Acknowledge loss. Be more courageous. Reach deeper. Laugh from our bellies. Talk less. Sing louder. And trust God more. So there it is, “nos desafiamos a amar como Jesús.” We challenge ourselves to love like Jesus.” Bishop Wright said. The first Bishop’s Crosses were awarded to two members of each convocation - one lay and one clergy - who embody the diocesan purpose statement. Recipients were nominated and recommended to the Bishop. The crosses were made from the Dogwood tree by Andy Schuyler, a member of St. Patrick’s parish. The Rev. Herschel Atkinson received a standing ovation from Council as Bishop Wright thanked him for his many years of service as Secretary of Council and announced that a scholarship at the Sewanee School of Theology is being created in his honor. Donations may also be made through the Sewanee website. Be sure to complete the In Honor Of line near the bottom of the On-Line Giving Form. View the photo slideshow to see more photos and highlights from the 111th Annual Council. The Very Rev. Dr. Michael Battle, Herbert Thompson Professor of Church and Society and director of the Desmond Tutu Center at General Theological Seminary in New York City, is the featured preacher Oct. 8 on “Day 1” with host Peter Wallace, the nationally broadcast ecumenical radio program also accessible as a podcast and online at Day1.org. Day 1 is heard in the Atlanta area on WSB News 95.5 and 750 a.m. on Sunday morning at 7:05. The program includes interviews with Battle conducted by Wallace, who is also executive producer. “Day 1” has been broadcast every week for over 72 years, formerly as “The Protestant Hour.” Featuring outstanding preachers from the mainline denominations, “Day 1” is currently distributed to more than 220 radio stations across America and overseas and via various podcast platforms. The program is produced by the Alliance for Christian Media, based in Atlanta, Ga. For more information, call toll free 888-411-Day-1 or check the program’s website, http://day1.org. On August 5th, close to 200 youth tubed the river in Helen, Ga. After tubing, they enjoyed lunch and Eucharist at Church of the Resurrection. It was an incredible day filled with fellowship, laughter, and worship. View the video below for highlights from the tubing trip.